Ever since flicks like The Lawnmower Man and The Matrix, sci-fi enthusiasts and gamers alike have dreamt of immersive virtual reality experiences, but despite a few small innovations over the years they’ve been more “virtual” than “real.” Until now. The year 2016 will no doubt be remembered as the “coming out” party for virtual reality (VR), beginning with the Samsung Gear VR over the holidays, along with inexpensive Google Cardboard headsets, the new HTC Vive platform, and Sony’s PlayStation VR debuting this fall. Wait, am I missing one? 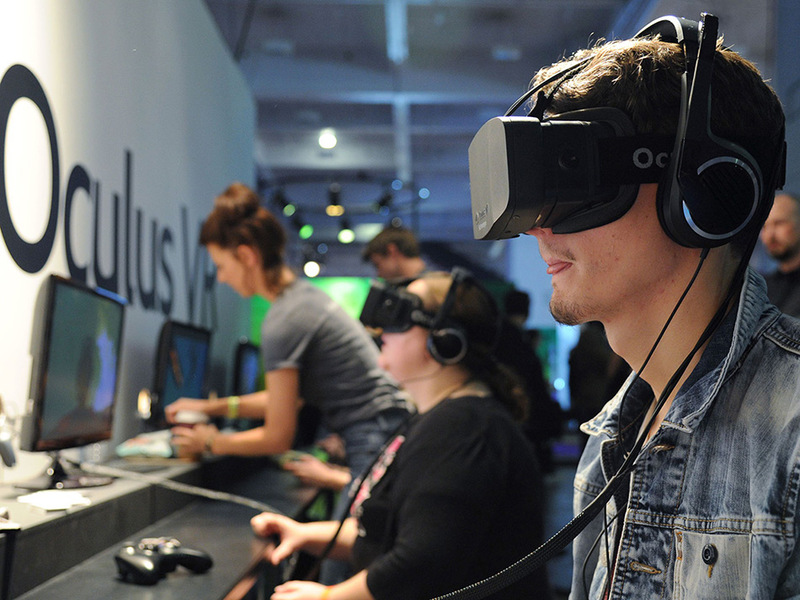 Garnering the most buzz over the years while in development, Oculus Rift is now available. You’re probably aware it was the world’s first Kickstarter-funded VR headset. You know it requires a powerful computer, which connects to the headset to deliver 360-degree visual and sound experiences. And of course you read the news about Facebook acquiring Oculus two years ago for $2 billion dollars. But there’s a lot more to Oculus Rift ($599) you might not be aware of. Surf Report caught up with the Oculus Rift team for some lesser-known facts and features about the gear and company. Many filmmakers are exploring storytelling in virtual reality using the Rift including Oculus’ own internal team, Oculus Story Studio, made up of ex-Pixar and Dreamworks Animation folks. Oculus Story Studio has released two short animated films, Lost and Henry, and the studio is working on their next film, Dear Angelica, which is an illustrative story about a teenage girl looking back on the stories her mom told her as a child. You can also use Oculus Rift to watch and experience Facebook 360 video, allowing you to see and share immersive stories, places and experiences. From surfing the waves of Tahiti, to stepping inside a blizzard in New York City, or walking the catwalk in Milan — all by casting 360 video straight from your News Feed to your Rift. Beyond entertainment, companies and universities are creating content using the Rift for engineering, manufacturing, training and education, healthcare, architecture, real estate, and communications. Oculus is made up of some super smart people. In addition to its founder Palmer Luckey – the 23 year-old whose net worth is estimated to be about $700 million, according to Forbes – Oculus employs John Carmack, one of the pioneers of 3D graphics and creator of games like Doom and Quake, who sits as Chief Technical Officer at Oculus. Other seasoned game developers on staff include Michael Abrash, who collaborated with Carmack on Quake while at id Software; Brendan Iribe, a successful video game programmer and entrepreneur; and Jason Rubin, the former co-founder of Naughty Dog game studio and former CEO of THQ. While many attribute the mind-blowing virtual reality experience to the 360-degree video, which is tied to head-tracking, much of the immersion can be attributed to audio, too. 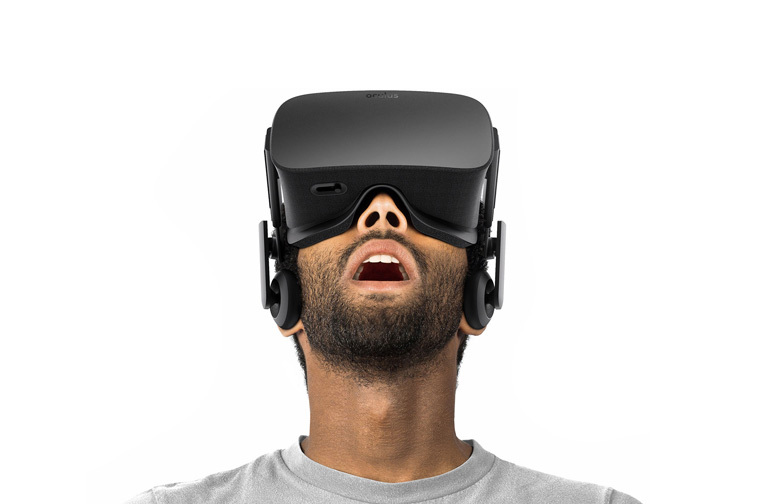 That is, Oculus Rift was designed to emulate how you receive sound and move in real life. It offers 3D spatial audio, allowing you to hear sounds as they would be in real life, therefore you can hear things in front, to the side, behind, above, and below you. Walk down a dark corridor in a horror game and you might just hear a growl behind you; turn your head around to follow the audio cue and you might just see a sharp-toothed monster on your trail. Hidden within the Oculus Rift is a precise constellation tracking system that helps track movements in space, meaning that when you move in virtual reality, your brain perceives that movement as it would in real life, further enhancing immersion. And to help you interact with others while in VR, Oculus Rift has a built in microphone, allowing you to speak with other people. One of the more than 30 launch titles for Oculus Rift, Farlands lets gamers explore an uncharted planet and discover new forms of life — including insects, fish and plants – all of which you can develop relationships with. Interestingly, each of the 40 insects in the game has its own unique sound it uses to communicate. Insects that only appear at night make sounds that you would expect to hear at nighttime. The visual appearance of the fish and insects also represent the location, and time they were caught. For example, most fish caught from the ocean differ in appearance from the fish caught from within the jungle, while most insects caught during the day look different than the ones caught at night. Farlands also offers a few hidden gems for video game fans. There is a Dopefish — a longstanding Easter egg in video games — that can rarely be caught in the game. There is also a David Bowie tribute fish that can be caught, since many folks on the team were upset when he passed. According to the Oculus Rift team, there are 300 custom engineered and manufactured pieces that come from all over the world. These parts include lenses, straps, audio arms, cables, facial interface, and so on. An integral part to tracking fidelity, the fabric on the device comes from Europe, Asia, and the U.S. The fabric wrapping process initially took about an hour, but the team created a custom automation fixture to reduce the time to seconds and minutes. Speaking of parts, Oculus Touch is a pair of VR controllers that work with the headset, which allows you to interact with content inside of digital worlds. Touch is slated for a 2016 launch, but no specific date or price has been announced just yet. “Just a few more months” has been the mantra of virtual reality since people started getting excited about the Oculus Rift, and saying it after the headset is released feels like either a huge cop-out or a sign that the VR we want may never actually arrive. But it’s impossible to think of all the unreleased Oculus Touch experiences I’ve tried — like three-dimensional painting tool Quill, Old West shooting gallery Dead & Buried, and a VR version of Rock Band — and not feel like the Rift’s best days are still ahead of it. For the first time, though, there’s something to do while you wait. The high cost of buying and running high-end VR headsets makes them inaccessible to many people, and the Rift in particular is relentlessly focused on gaming. Within these limitations, though, the Rift makes a good case for seated VR, and it lays a solid foundation for what’s to come. The headset you can buy today is not Oculus’ most ambitious vision for virtual reality — but it’s a vision that Oculus has successfully delivered on.